AutoCAD Architecture / Interiors is specialized AutoCAD software that aids architecture / Interiors students and professionals as a tool in drafting and improving productivity. Through this course, Students learn how to create two-dimensional (2d), three-dimensional (3d), and physical drawings for residential, commercial, and industrial buildings and infrastructures. AutoCAD Architecture / Interiors software also teaches the art of converting these 2d and 3d designs into digital format. By the end of our course, students gain project portfolio which consists of drawings and layout of buildings, objects and various other relevant engineering, Interiors and architectural drawings. This course seeks to provide students a variety of tools that help improve their skills, precision, accuracy, efficiency and speed in creating architectural / Interior drawings and sketches. The software helps students from the concept design stage through development of designs, working in progress drawings to assigning maintenance facility in the architectural structure. The course teaches design development, handling construction related documentation and the visual features in AutoCAD software. AutoCAD Architecture / Interiors forms the base of learning digital architectural / Interior drawing and sketching. 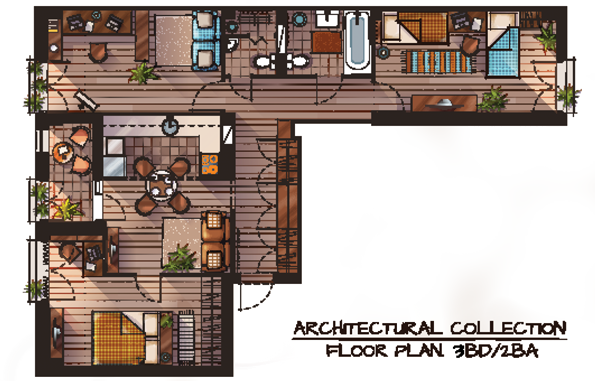 The course teaches how to create and present architectural / Interior concepts in 2d and 3d drawings. Modern architects / Interior Designers use the AutoCAD software for efficiency, accuracy and precision in drawing, sketching, drafting, and planning, testing and infrastructural project management. Wizcrafter, the best AutoCAD institute of Delhi, offers this course as an exclusive course not clubbed with any other subject since Civil itself is a vast and deep topic. Wizcrafter offers certification from Autodesk, USA directly as a license holder. Our course provides a life-skill and employable competency to its students. Our state-of-the-art learning facilities and experienced faculty are the best available to a student pursuing the above course. This course since it is a must for baseline sketching skills it is a requirement in most professional circles relating to architecture and infrastructure industries. Students can attain positions ranging from drafting expert, working plan assistant, AutoCAD Professional 2d or AutoCAD Expert 3d, to elevation modeller, the opportunities are endless. We endeavour to assist you in achieving your dreams.